With all the extra hours of sunlight and nice weather that comes with summer, you’d think we’d have more time to prepare healthy meals. You know, leisurely family dinners on the deck in the warm evening breeze with lots of laughter and good conversation… but, no. For many of us, summer means extra busyness – with an increase in outdoor activities, sports events, chauffeuring kids, weekend getaways, and longer work days if your business is seasonal or even if you work from home. Besides the amazing disappearing-time-factor when the weather’s nice, who wants to spend time in the kitchen? 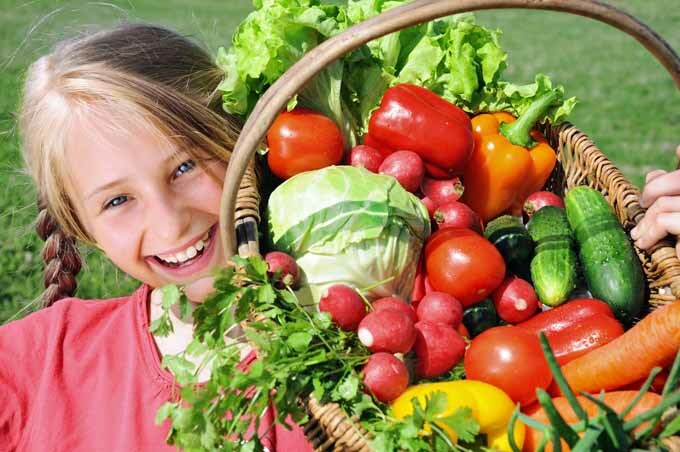 So, to get the most out of summer while it’s here, we have a list of 7 healthy and easy summer meal ideas – one for each day of the week. They can make for effortless dinners or easy, breezy, hassle-free lunches (with more ideas to be found here). 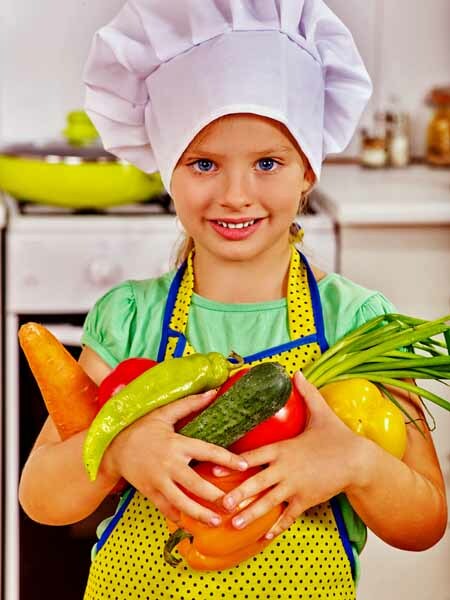 All of them can be made with nutritious, fresh ingredients, they’re easily adaptable for kids’ tastes, and best of all, they’re quick – from start to finish, these recipes will be ready in well under an hour. Take advantage of local and seasonal vegetables, fruit, and fish for fresh and easy preparation, and use an outdoor grill for great flavor and quick cleanup. If you want a change of pace from the BBQ, select an ‘all-in-one’ dish where all (or most) of the ingredients are cooked together. They usually take less prep and cooking time, and there’s also fewer dishes to wash up. Looking for even fewer dishes to deal with? 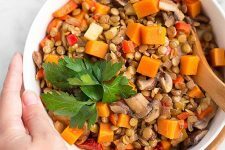 Try serving some of these recipes in natural and edible bowls – simply eat (or toss) and you’re done! Tacos or tostadas are quick to make, nutritious, and they taste great – what’s not to like? Puff soft shell tacos or tortillas on the grill and fill with your favorite lean protein, such as salmon, halibut, shrimp, chicken, pork, or steak. For the healthiest grilling, marinate your meat selection first. 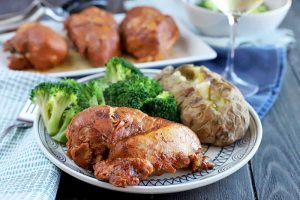 And, if possible, mix the meat with the marinade in the morning and let it work in the fridge all day – the results will be incredibly tender and flavorful. Mix up a fresh fruit salsa with local, in season or tropical produce. Some nice combinations are peach and corn (depicted above), blueberry watermelon, mango cucumber, and strawberry basil. For more fresh and flavorful fruit salsa suggestions, check out our round-up of some of our all-time favorite recipes from around the web. Add a variety of freshly diced and shredded summer veggies like lettuce, tomatoes, avocado, onions, corn, beans, and zucchini. Then top it all off with a grating of cheese such as Parmesan, cheddar, or Monterey jack, and you’ll have a flavorful, healthy meal. 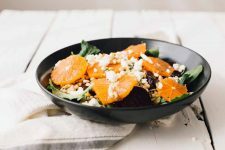 A twist on the traditional rice bowl, cash in on quinoa’s superfood status and use this nutritional powerhouse to create an Asian inspired dish. 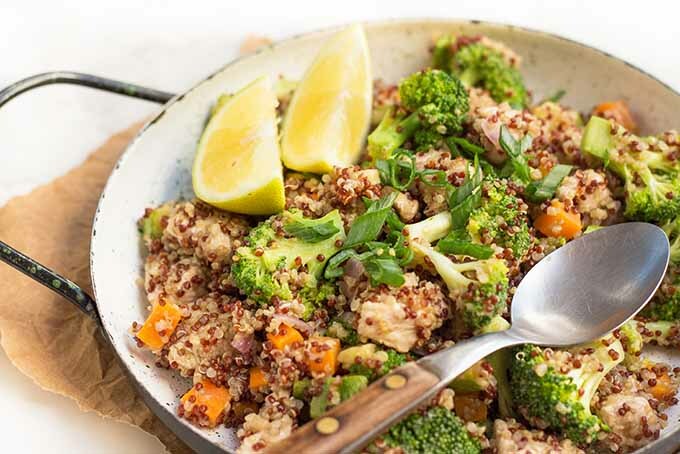 Lemon Chicken Quinoa Bowls – Get the Recipe NowCook quinoa as per package instructions, being sure to rinse it first. Then top with a stir fry of crisp veggies and a lean protein. Chicken, shrimp, salmon, or steak marinated in soy sauce with ginger, garlic, and basil all make for a nutritious and energy packed dish. Use your favorite flatbread for these fun and easy pizzas cooked on the grill. Pita bread (like this homemade sour barley pita), naan, pre-cooked pizza crusts, kulcha, farl, focaccia, and many others are suitable. Add whatever sauce, flavor combinations, ingredients and toppings you like, but do ensure that your flatbread can handle the load. A thin wrap stacked with a Dagwood-esque pile of ingredients is likely to collapse, a disappointment no one wants to experience! Heat the grill to medium, 325 F. Brush both sides of the flatbread with olive oil and place on the grate. After one minute, turn the flatbread and spread a layer of pesto over the top. To the flatbread, add the chicken, sun-dried tomatoes, basil, oregano, red pepper flakes and season with salt and freshly ground black pepper. Spread the Mozzarella and Feta evenly over the top. Spread the toppings to 1/2 inch away from the edges, close the lid and grill for 3 – 4 minutes or until the cheese is melted, watching that the bread doesn’t burn. If you want a longer cooking time, use a pizza stone or baking sheet on the grill. 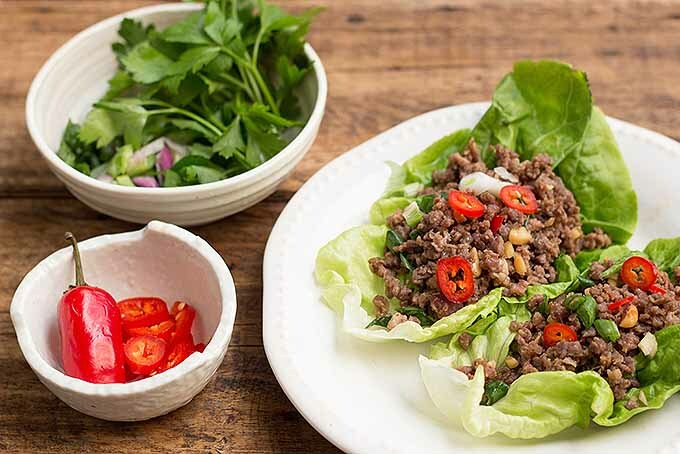 Lettuce wraps are lighter and have fewer calories than flour wraps – ideal for watching calorie intake. They’re very easy to make, light, refreshing, and economical. Use a large-leafed lettuce that has a natural cup shape such as Boston, butter, or Romaine – this makes rolling easier. Spicy Ground Beef Lettuce Wraps – Get the Recipe NowSpread with a savory ground meat mixture, leaving a one-inch allowance on three sides and two inches at the top. Add seasonings and a sauce or condiment of choice, then roll one long edge over the mix. Fold up the bottom flap, and continue rolling to finish – secure with wooden picks if needed. Here’s another twist on the Asian rice bowl, this time with a Mexican flair. 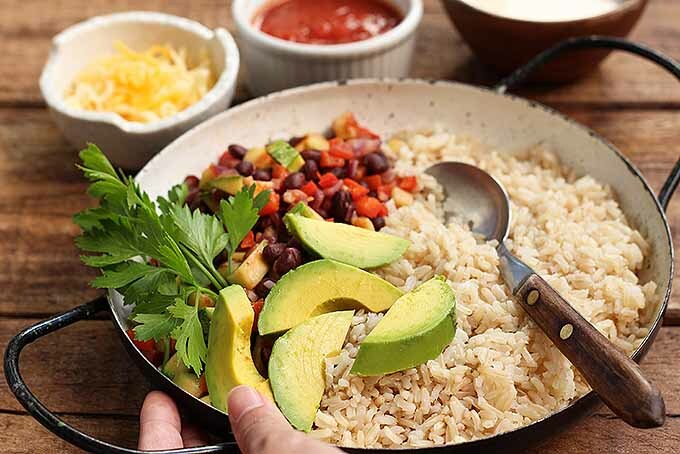 Hearty and Flavorful Vegetarian Burrito Bowl – Get the Recipe NowWith beans as the protein and a variety of fresh vegetables like zucchini and red bell pepper, this veggie recipe is so delicious and filling that you’ll forget there’s no meat! Use your favorite vegetables – it is easily adaptable to any ingredients of your choosing. One-dish skillet meals are fast and easy to make – they’re tasty and satisfying, economical, and cleanup is a breeze. Cut a lean protein such as chicken or flank steak into cubes or strips, and marinate at least 30 minutes to tenderize tougher cuts. Toss in a selection of sliced and julienned fresh summer vegetables to suit. Serve with jalapeno cornbread, rice, or quinoa for a fast, delicious meal. While fresh may be best, frozen is fast. 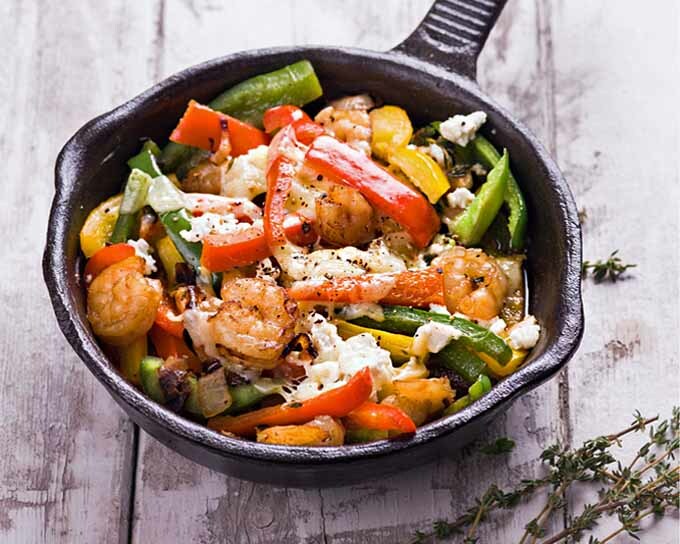 Keep a bag of raw, frozen, peeled and de-veined prawns on hand in the freezer – they’re a great protein for fast skillet or stir fry meals. Add a selection of fresh summer veggies and you’re good to eat and go. Heat a heavy, large skillet to medium high, then melt the butter. Add 2 cloves of garlic, onion, celery, and red pepper and saute for a minute. Add beer, Worcestershire sauce, pepper, salt, thyme, rosemary and red pepper flakes, oregano and cayenne pepper. Stir in carrots, celery, onion and green beans, mix well and bring just to a boil. Add prawns and cook for 3 -4 minutes until pink, stirring occasionally. Serve over rice or quinoa, or with a slice of cornbread. A hamburger on the grill is a summer favorite – delicious, easy to make, quick to cook, and you can dress it up as you like. 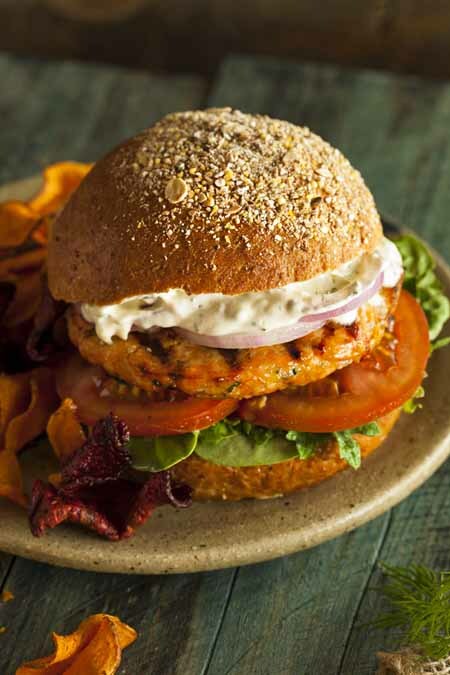 If you like the taste and convenience of burgers but are trying to cut back on red meat consumption, opt for ground turkey or salmon – or a homemade vegetarian option like this recipe for Sweet Potato Coconut Patties – for a leaner, healthier version of this classic. 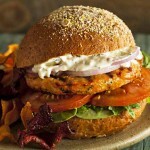 And for more ideas on how to liven up your burgers, check out this post for some great recipes. These healthy fish burgers are very quick and easy to make, and work well on a toasted sourdough bun with all the goodies, or serve the patty alone with a salad on the side. 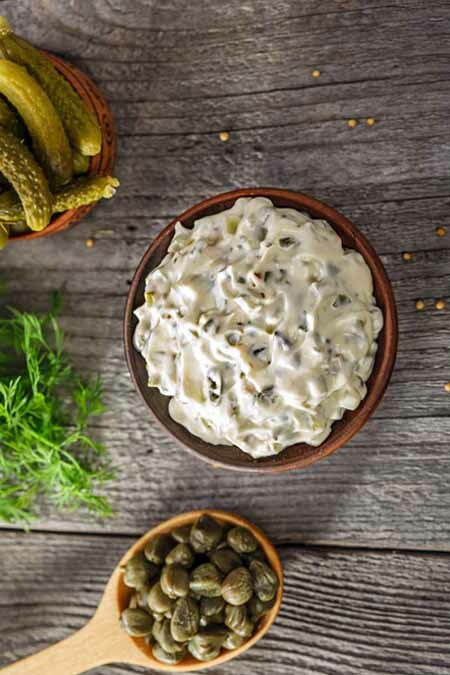 Either way, add a dollop of homemade tartar sauce for just the right amount of tanginess to complement the rich salmon. These burgers are particularly good with grilled yam fries and chipotle mayo, and a side of garden fresh, steamed green beans. In a jar with a tight fitting lid, combine all Basting Sauce ingredients and shake well to emulsify - and shake again before basting the burgers. In a medium mixing bowl combine salmon, peppers, panko, garlic, dill and tarragon. In a small bowl combine egg, white wine, lemon juice and pepper. Add to the salmon mixture, and toss gently to combine. Divide equally into eight sections and make patties. Lightly coat the BBQ grate with cooking spray, and heat to medium-high 325 – 350 F. Brush with the basting sauce, season with salt and pepper, and grill 5 minutes per side adding sauce as needed. Salmon patties can be a bit on the fragile side. Cover and refrigerate for 30 – 60 minutes if needed. 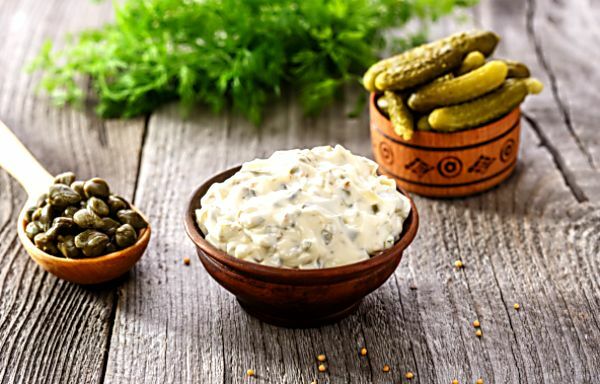 Tartar sauce is a perfect accompaniment to your salmon burgers. It adds a hint of tanginess to your homemade burgers, making them even more delicious. Place all the ingredients in a mixing bowl and whisk together well until thoroughly blended. Chill well before serving. Your Summer Meals Are Set! That wraps up our look at 7 fast, easy, and nutritious summertime meals. 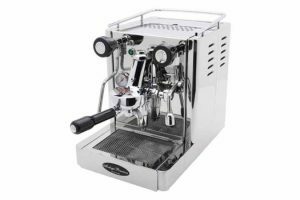 Try some of the recipes above, or design your own variations to suit the tastes of your family. They’re quick to put together and you’ll feel good about serving a healthy meal for your family – and keeping that busy summer schedule going. 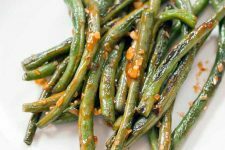 Well, I would suggest dilled green beans as an alternative, but they probably fall into the ‘pickles in general’ category. So, try dicing up some cucumber or zucchini as a substitute for the dill pickle. And you could add a wee bit of fresh minced dill as well. Glad you enjoyed the post! Yum, I’m bookmarking this for all of the great recipes. I definitely want to try the pork tacos, since pork is my favorite meat and I love tacos, and the flatbread pizzas look fabulous, also. One thing I like about Summer is that meals can be lighter, and include more locally sourced fresh ingredients than the rest of the year, so I plan to take advantage of that with your recipes. 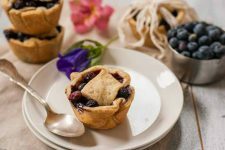 Light meals are so much more refreshing in the summer, especially with all the fresh, locally farmed goodies… enjoy the recipes Diane. Those tostadas look AMAZING! YUM, I need to make those soon. They’re so versatile and easy. Easy as can be malarieours, and as you point out, very versatile. Let us know how they turn out for you. Your “Spicy Ground Beef Wraps” had my mouth watering. My little angels would love it! Will take a bit of persuasion to make them eat the more vegetarian ones though; they just love their meat so much, like their father. Beautiful photos, I love it! If you were trying to capture the mouth-watering angles of your meals, you definitely succeeded. Will try some of your recipes when I have time to experiment a bit more in my kitchen. Thank you for writing this! Thanks for your comments xyonj, hope you enjoy the recipes when you have time to try them out. All of these are great ideas. We are in the midst of a heat wave that has lasted a month already, so these can really come in handy. I did just do a flat bread pizza a couple days ago too. 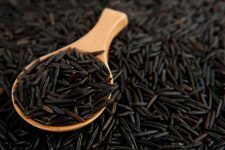 All these have lots of flavor, which sometimes can be missing from quick meals. Taste and comfort is just as important in the heat as it is in the cold. Thanks! I guess I can add that marinated tofu is a great dish that can be eaten live or fried or baked, and it is delicious and nutritious! 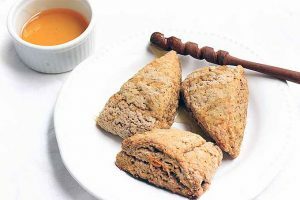 Use soy sauce, ginger, garlic and brewer’s yeast for the simple version. You’re so right aphil, tasty has to go with quick. And thanks for the tofu marinade! I’ll give it a try this coming week. I was recently introduced to quinoa, and I not only enjoy the taste, but the nutritional benefits as well; I’m glad that I finally have the recipe to making it for myself. I’m sure that, without the chicken, it will be a hit among my vegetarian friends. They will obviously appreciate the vegetarian burrito bowl, although I do have a family recipe for that. I believe the only difference is corn. Thank you for all these recipes! Quinoa’s a wonder grain, with great nutrition, taste and texture – love the way those little grains ‘pop’ when chewed! And easy to replace the animal protein in the quinoa bowl… maybe try aphil’s suggestion above for marinated tofu for the vegetarians. I get so hungry when I come here. You really put some great recipes up I thank you for that. The pictures that accompany them are so mouthwatering. I usually have to hit the kitchen soon after my visit here not that I’m complaining I’m not it’s very inspiring site. I know what you mean kk, I seem to head to the kitchen a lot after I’ve been on Foodal! Glad you enjoy the recipes and find some cooking inspiration when you visit. Hey! These are fabulous, and I’m always looking for more ideas to help use up the frankly astonishing amount of zucchini we always end up with! I was wondering, do you think it would change the texture/taste very much if I used brown rice in the lemon chicken bowl? Brown rice works great in the chicken bowl anders, it just takes a bit longer to cook. Glad you find the ideas useful. Wow the Spicy Ground Beef Wraps look amazing and healthy too! 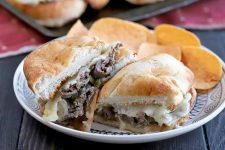 We are a huge ground beef and taco family so this will be a great way to try and steer the family away from the extra carbs. It looks like we will be making these tonight! So glad that you mentioned butter lettuce, we love it in our family and haven’t found too many recipes including it. Thanks! Question, we have a peanut allergy in the family, so what would be a good alternative? We’d like to keep the crunchy texture but not sure with what to substitute it! Ahhh, yes, butter lettuce. Isn’t it wonderful? I love how they usually sell it still attached to the root. 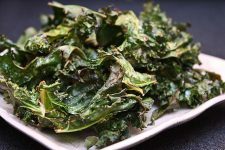 I’m a picky about lettuce, and BL seems to have the perfect crisp, velvety texture that is perfect for many things. I love it on burgers. Great description of butter lettuce HF, ‘crisp, velvety texture’… you nailed it. Butter lettuce doesn’t get much recognition, but it’s one of my fav’s too… and a good way to lighten the load of the ground beef. For the peanut allergies, try subbing soy nuts or seeds, like pumpkin or sunflower to keep the crunch factor. Or even some of the heartier sprouts, such as bean sprouts, have a nice, crisp texture. I’ve been needing an article like this. I do a lot of batch cooking these days to save time, but sometimes when I come home from my current office I just do not feel like spending time in the kitchen. It’s made me succumb to the temptation of eating out a bit more often than I’d like. My problem is that I usually default to skillet dishes and I needed to mix it up a bit. 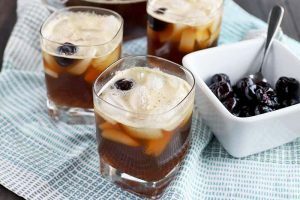 These look like absolutely tasty ideas to try out. I always forget about tostadas, and those flatbread pizzas are super tempting as well. Spending time in the kitchen after working all day can be a challenge Leopard, and that’s when the siren’s call to eat out does seem loudest… hope the recipes work for you. These recipes aren’t just for summer! 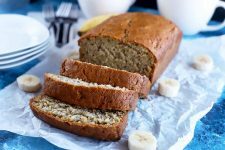 As a busy student, these recipes will help me a lot during the school year. The prep times and cook times for these recipes seem perfectly attainable for someone on a busy schedule. I’m gonna try some in the near future. I especially can’t wait to try the spicy pork tacos and the the grilled flatbread pizza. You’re right Josh, they’re good anytime of the year, and are ideal for anyone with a busy schedule. Hope you enjoy the tacos and pizza! First time visiting the site, so I want to comment on the great layout and organization. I’ve always had one of those inexplicable aversions to lettuce wraps even though I love lettuce. It’s so hard to get myself to change eating habits sometimes. I laughed when I read that no one wants to be slaving away in the kitchen during the summer because I thought to myself, “Ha! That’s what the grill is for!”….and then the next sentence under the photo was about grilling. I wish beef wasn’t getting so expensive though. I tend to wait for the marked down stuff now and salt it overnight. Thanks for your kind comments HF. No, changing habits isn’t easy, but one day at a time we get there… glad you enjoyed the post. Thank you for the tips on lettuce wraps! I never seem to be able to get the “right” lettuce and it turns into a taco salad in fast order. I’ll be sure to save what kind to get and not to fill too much (even if my eyes want all the cheese on top). Skillet meals are huge in my house. 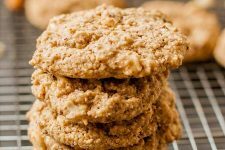 They’re simple, delicious, and everyone seems to enjoy some part of them, if not all. I haven’t tried prawn yet, but that may have to change! Being on the coast, fish is a big deal here, so I loved all the takes on seafood you give here. Not filling too much is the key to not having wraps turn into salad Bonbinski, and you eat more lettuce that way too! 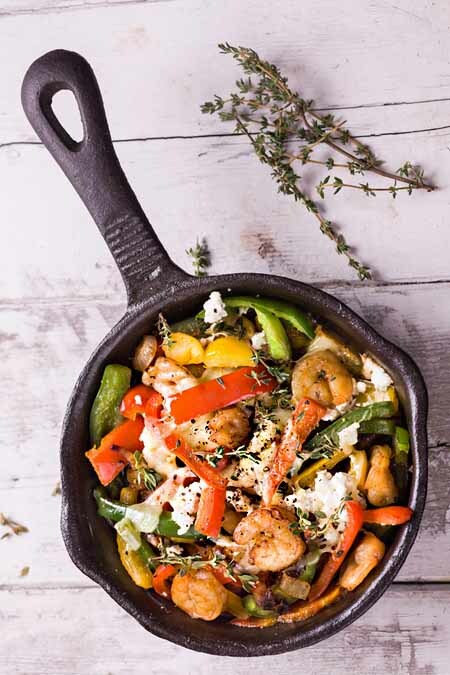 We’re kindred spirits on the seafood thing, hope you enjoy the recipe for skillet prawns. Great article. I can tell from personal experience that the Quinoa Bowl is a fantastic dish, I’ve been making it pretty regularly, and not only the taste, but the health benifiets are great. I can’t wait to try some of these other recipes! 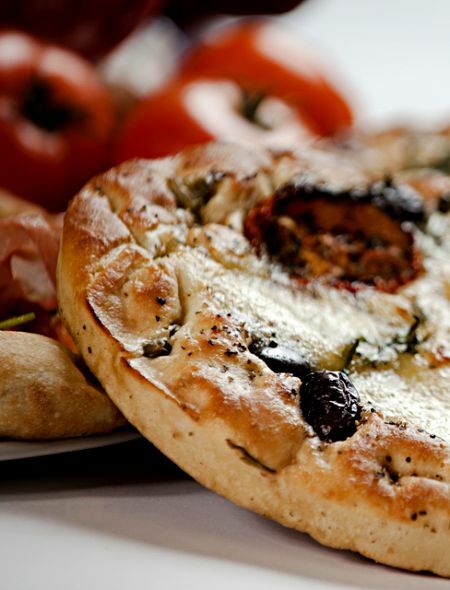 (Especialy that flatbread pizza). Good job on this article! Thanks for the testimonial spaceboytaylor, tasty, quick and healthy is hard to beat. Glad you enjoyed the post, and hope you like the pizza. I’ve never been one to wander from the traditional “ground beef” style taco, but most recently I have tried other food items like chicken. Very good stuff! It looks like pork is next on the agenda thanks to the recipe here. 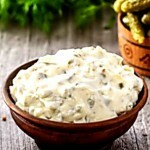 And I’m a huge fan of salmon and Pollock burgers, but have never liked tartar sauce; however, my husband loves it. I’m glad the recipe is easy to follow so I’ll give it a try. Summer is so busy as mentioned. It’s nice to find ways to make it more simplified so that me and my family can do what we do best – get outside! Traditions are tried and true, and often we don’t even think of stepping outside of the comfort zone… but change is good thing. Like the pork tacos! Hope you enjoy them MB, and the rest of summer. Those lettuce wraps are to die for. 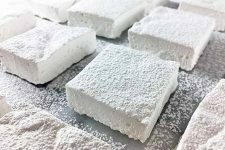 They look easy to make in no time at all. I will certainly try that out in a few days. Thanks for sharing. You’re welcome mimi, and you’re right – tasty and easy-peasy to make. Love this article! I am always trying to find new recipes (especially in the summer months when the kids are home all day and pestering me about food nonstop). My husband is generally a non-veggie eater, but wants to start eating healthier. He is hoping to do Ranger school within the next year and wants to be in better shape before going. I don’t know if changing his diet will help with the challenges of Ranger school, but whatever makes him feel ready! I think the lettuce wraps are something that he would definitely eat and enjoy. We actually had a version of this once made with turkey burger. 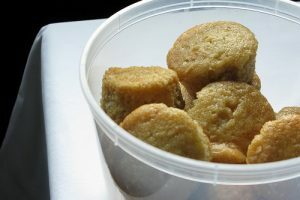 My brother in law made it for us when he was visiting over the holidays a couple years ago and they were delicious. Admittedly, my brother in law knows his way around my kitchen almost as well as I do since every time he visits us he ends up cooking with me, or cooking full meals so I can take care of other holiday preparations. I think for the sake of the children I will have to test out the spicy level of the meat, they are very picky about how much seasoning is in their meals! I also loved the idea of cooking flat bread pizzas on the grill. 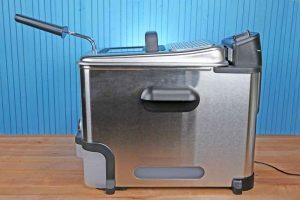 My main desire to try this out is because I have consistently denied the How To Use Our New Grill lesson and as such my husband is the designated Grill Master of the house. 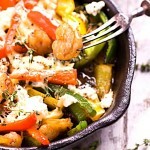 This recipe would give me night out of cooking dinner for the masses! I like your logic JessyMae, those seven kids must sharpen up your thinking! As you say, adjust the spices to suit so the kids will eat them. Those lettuce wraps looks amazing! I’m always looking for new ways to eat wraps or sandwiches without all of the carbs that come along with using bread and tortillas. I’m 260 so carbs are really one of the hardest things I have to deal with, especially considering how much I love bread. I’m definitely going to try those wraps. Maybe even try a veggie wrap. I use to eat veggie sandwiches but the bread is just too much. I hear what you’re saying about the bread tpugsly, it’s hard to resist. But lettuce wraps make a pretty good substitute – they seem to satisfy. My husband is going on a special diet and these sound like some great, healthy alternatives for him. I wish I had come across this post sooner, the summer is almost over, and the weather has already started to cool off where I live so grilling will be harder for us to do. I suppose we can still make these inside, it’s just not quite the same. 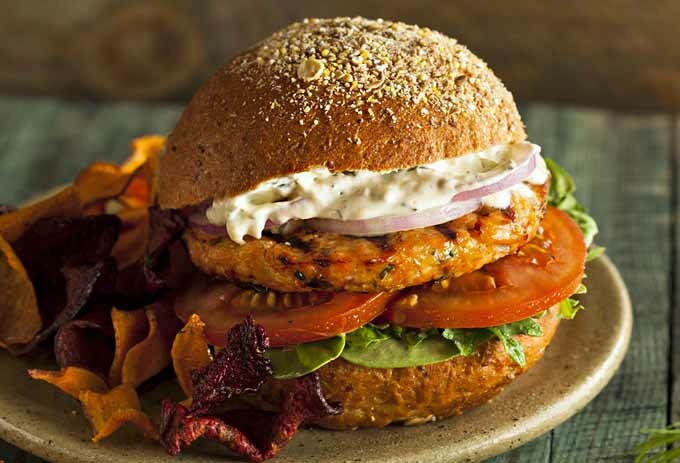 My husband has never had a burger made with fish, but I know he loves salmon, so I definitely want him to try that! The lettuce wrap is another one that I think he will enjoy, he’s done lettuce wraps before, so I know he will eat that. Good thing he’s not too picky anyways, we both love trying new foods, and these sound so good! I know, it’s sad to see grilling season winding down, but most of the recipes adapt to indoor cooking quite well. I hope you and your husband enjoy the burgers and wraps, and I hope his diet goes well. Thanks for your comments sensory1, glad you’ve found a source to fit your healthy eating plan. I’m always looking for new ideas since I cook 6-7 days a week to help maintain our food budget. 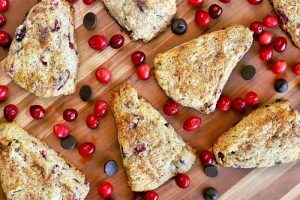 These not only look delicious but relatively simple too! Several of them will work well for another of my budget tricks – freezing leftovers! I do this in two ways: the first is freezing individual servings to be reheated for lunch or to fill in for nights when making dinner doesn’t happen (the burrito bowl would be perfect for this). The other is freezing part of the meal – in this case the taco meat or lettuce wrap filling could be made in large batches and frozen for later use. Then all you need to do is grab your fresh ingredients, thaw your pre-made portion, and voila – quick, delicious dinner! Voila indeed! Thanks for the tips julabugg, kitchen hacks that simplify are always appreciated. I love these ideas, however I need tips on how to get motivated into wanting to eat healthy. I know it’s good for me, but for some reason that’s not good enough. It doesn’t taste as good as the other things I go for. I’ll still keep these penned down for future reference though. One of the interesting things about motivation is that it often shows up after we begin a new behavior, not before. Simply starting can create a needed momentum change. So, how about trying one new ‘healthy’ dish this week and see if you can build on that harpazo22? This is a great and helpful post! I love the quinoa bowl and the lettuce wraps! I will definitely be trying these one day! I love this article so much! It’s a smorgasbord of ideas. LOL I love all these recipes, but my favorites are the lettuce wraps, and the Quinoa. I love quinoa, and I’m always eager to find new ways to eat it. 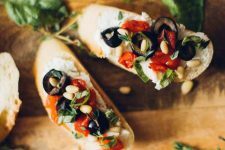 Wonderful recipe ideas! I’m going to try the spicy pork taco with salsa recipe. But instead of pork, I want to substitute prawns, and instead of peaches, I want to use mangoes. I’m also eager to try the cajun prawns. Thanks again! Your substitutions sound wonderful phoenix, will have to give them a try! Glad you enjoyed the ideas. I love these recipes! I think some of these are easily adapted to autumn or even winter meals. 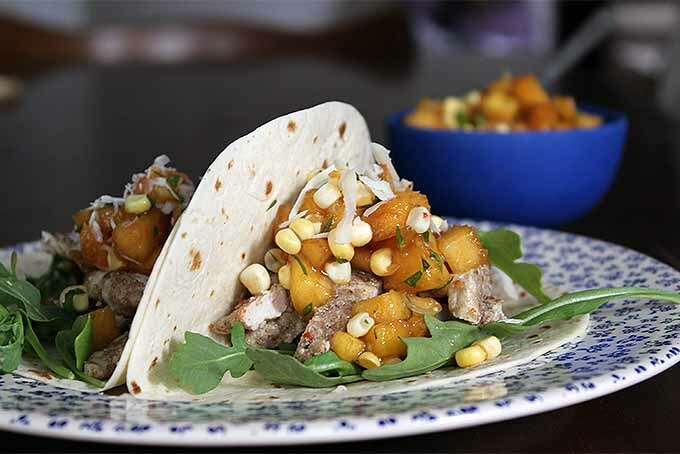 I would love to try the spicy pork tacos and with our very own peach tree, that peach and corn salsa will taste even better. 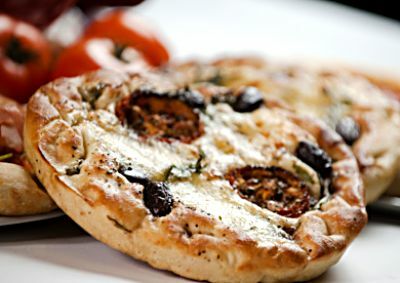 The pizza flatbread looks delicious, I want to make my own sun dried tomatoes. I sometimes make pesto with rocket lettuce instead of the basil, but it does taste quite strong. Quinoa is another thing we try to incorporate more in our diet, thank you for another great way to eat it. Can’t wait for summer! You’re right valedevento, easily adaptable to pretty much any time of the year, and lucky you to have your own peach tree! There’s nothing like home-grown fruit and veggies for outstanding fresh flavor… Thanks for your comments. 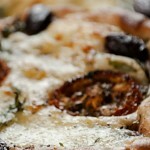 Wow, that chicken pita bread pizza recipe looks amazing, definitely will be on the shopping list this week. 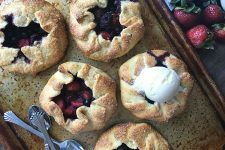 The real beauty of many of these recipes is they end up being hand foods, so you can eat them while walking around the garden or just sitting on the porch, which is great for summer months. Exactly Azrile! Easy and convenient for casual outdoor dining – the way summer meals should be! Thanks for your comments. Well I do not do this much, but I might just print this page out and keep it one hand. 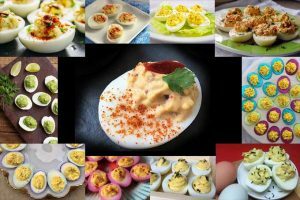 I am always glad to find quick and easy recipes to make, and especially when they are geared towards a certain season that we happen to find ourselves in. I have to say that the flatbread pizza might be one that we have to feature two nights a week, but that is okay with me. Thanks for sharing. Glad you found the post handy rz, and hope you enjoy the pizza!